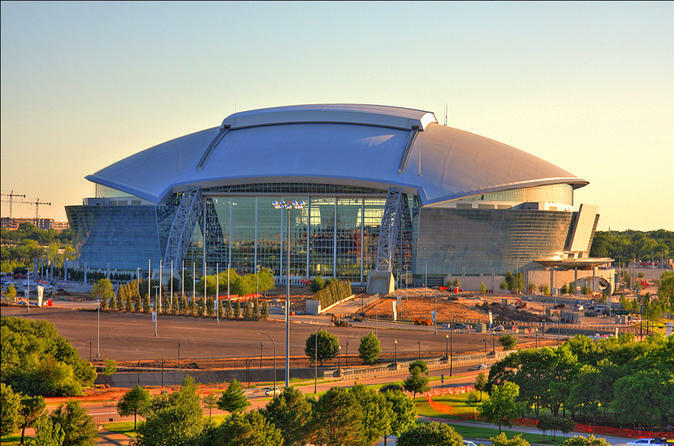 Tour this grand stadium, the radio box, the press boxes, the private suites, the Cotton Bowl offices, Dr. Pepper Star Bar, and the Ford Motor Company Fountain. Each of these areas is sure to impress, but the real fun can begin when you walk onto the field. As you stand on the field and throw a ball, you’ll feel like a star. Then, just as the players do after a game, head to the locker room, the post-game interview room, and even see the infamous Dallas Cowboys’ Cheerleaders locker room. Enjoy an amazing three-hour tour that will make you feel like a star!